When preparing for a trail ride, it is important to know some riding information before getting on a horse. In this blog, we will be discussing a general overview on a trail ride and what to expect from your experience. Wear long pants and closed-toe shoes when preparing for your trail ride here at Middleton Equestrian Center, and we will provide the helmet. We will provide you a moment to meet and greet the horse you will be riding on the guided tour. This will help familiarize the horse with who will be riding them. Don't worry about not knowing how to ride, our guides provide a 5-10 minute instruction on how to ride. This instruction includes many important aspects such as turning, going forward, right, left, and halting. Our team at Middleton want to ensure your trail ride is as safe as possible. For those who are not familiar with mounting a horse, this may be a stressful part of the riding process. There is no need to worry, our team will help you mount your horse with confidence. Now that you have mounted your horse, there is a matter of sitting appropriately. Keep your back straight, yet relaxed while on your horse. No matter the riding style, be sure to relax your arms and refrain from pulling in a manner that would hurt your horse. By forming your arms in a right angle, the reins will land appropriately with your horse. When riding a horse, it is best to look at the trail between your horse's ears. This will ensure that you are paying attention to where your horse is stepping. Riding, in a way, is forming a connection with your horse. 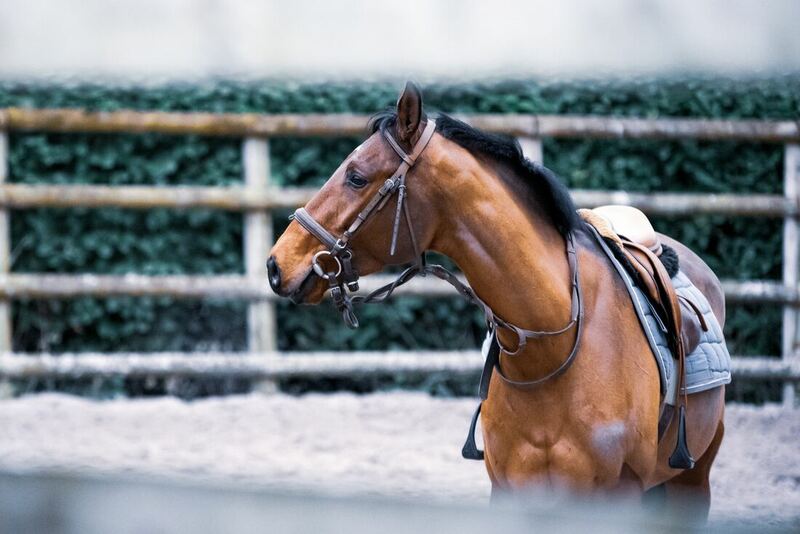 By staying calm and moving your body along with the movement of your horse, your riding experience will be relaxing and enjoyable for both of you. When the trail ride has completed the trail guide, or a member of the staff, will assist you in dismounting your horse. They will keep your horse still as you remove both feet out of the stirrups, lean forward, swing the appropriate foot and leg over the horse, and jump off. Keep in mind to dismount in a fashion that keeps your horse comfortable. Nothing says you enjoyed your ride more than a sweet thank you to the horse who safely transported you from beginning to end. If you are thinking about going for a trail ride, come and check out Middleton Equestrian Center!